Everyone has that one invaluable tool, that is always missing when you need it. For me it’s this pair of left-handed scissors. Fiskars, kept razor-sharp, wonderful ergonomics, tough as nails. Fabric shears, but they’ve easily handled tougher jobs when I didn’t want to use tin snips. 9/10 times when needed (which is often) they’re nowhere to be found. What about you? Needle nose pliers is a close second. I must have like 5 pairs, yet somehow I struggle to find one. No problem finding the normal pliers, of which I don’t recall buying a single time yet still seem to have a never-ending supply. Strange how that works. 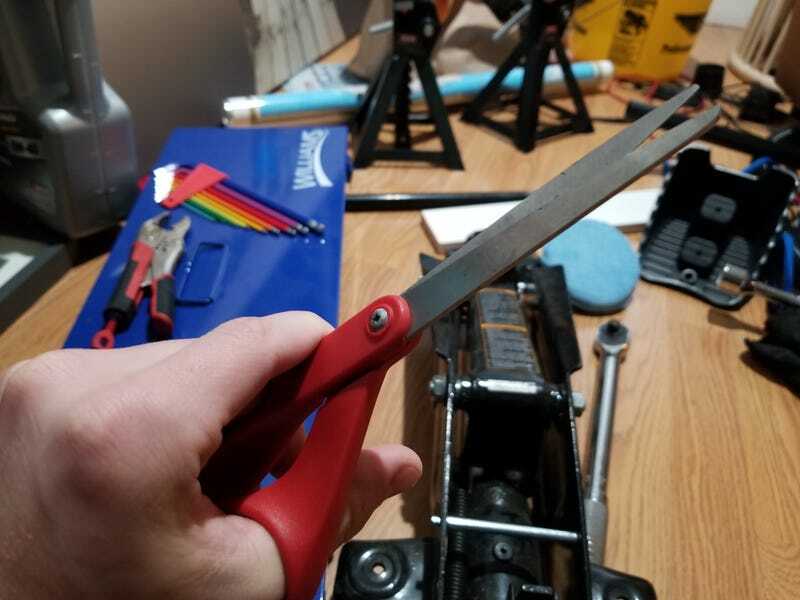 Oh and fellow left-handed people, if you haven’t experienced the joy of left-handed tools, go on Amazon right now and fix that. Will change your life.